Healthy Souls was founded in 2012 with the purpose of changing the way that business is done. What started as an idea for a line of flip flops, has turned into a brand that people can shop, enjoy, be inspired by, and have fun with, all while making an impact in the world through shopping responsibly. Donations received from our partnership with Healthy Souls is dedicated to supporting students. Currently, Mission Mojave focuses on educating the next generation of scientists and we do that by taking students into the Mojave Desert to conduct fieldwork. The experience builds their resumes and adds marketable skills to help them succeed. A comparable course could cost students $3,300, which we provide for free. To date, over 30 students have participated and over 100 have signed-up. 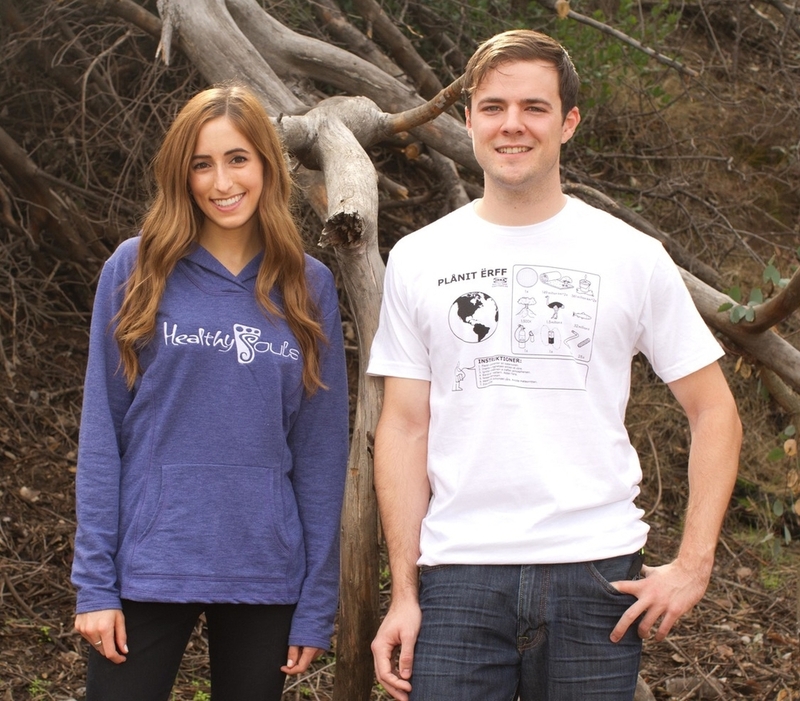 Purchase the apparel at www.healthysouls.org and select the cause "Environmental Action" next to the item's drop down. It's that easy! And 20% of the proceeds will automatically be sent to Blueprint Earth. You can then wear your attire knowing that you not only supported a cause you care about, but you also get to wear your support! Click here to purchase apparel and support our cause.